roger federer | Make Time For Sports. He almost pulled off another miracle, didn’t he? After coming back from the dead against Marin Cilic in the quarters, Roger Federer was leading 2-1 against Milos Raonic only to lose his bearings—figuratively and literally—failing in the last two sets in yet another gruelling five-setter. The Swiss missed the French Open this year—his first Grand Slam since 1999, ending an unbelievable streak of appearances. With Novak Djokovic knocked out early, die-hard Fed fans believed this was his best chance to clinch his 18th Slam. But it was always going to prove an uphill battle for a 34-year-old. Realists would not begrudge another championship for the great but their expectations are always tempered and tinged with a healthy dose of skepticism. In the end, it proved to be too much even for the tennis machine. The cracks and the strain were visible towards the end of the fourth set with Roger dropping his serve in the final game to lose the set without taking it into another nail-biting tie-breaker. But he had done enough to revive Wimbledon out of its stupor. Britain’s favourite son, Andy Murray, might clinch yet another title on the hallowed grass of the All-England Championship. But for many, this Wimbledon is simply to be Federer’s thing of beauty—forever. Marcus Willis will have that beer. Capturing seven games in his second round match against Roger Federer he surely deserves one. The man owes it all to a girl—a girl he met this February, a dentist named Jennifer Bates. He fell in love, turned himself around and found himself in round two of this year’s Wimbledon earning himself 50,000 pounds. £30-an-hour part-time Wokingham tennis coach’s joy. Beating Ricardas Berankis, ranked 54, in the first round was unexpected. But qualifying for Wimbledon proper required him to win six gruelling matches. “I love this story. This is great. Pre-qualifying, then qualifiers, winning the first round against a not easy player. Berankis can play. It’s just great. Perfect. He will go on Centre Court or Court One. The biggest match of his life and he has won already. For him he is a winner. He is the story of Wimbledon and it cannot get better than this. He cannot beat Roger Federer, no chance but he does not care. He has won already seven matches and he won Wimbledon for him. This is it. He will go on Centre or Court One. He is the happiest man, whether he comes to the match sober or drunk it doesn’t make any difference. Everyone will love him and support him and Roger will be nice to him. Eventually maybe not but it’s going to be great. I think he should quit after this. Retire. Because this is it. Roger Federer had nothing but respect for Willis. He treated him as a top-50 player because “because that’s the level he was playing at”. Willis sounded both disappointed and upbeat after his loss. “It sounds funny, but I’m disappointed to lose. I went out there trying to win. I’ve had a fantastic few weeks, and this has been great, but there’s life after Wimbledon, and I want more. More experiences like this. I have to knuckle down and work harder. I’m absolutely exhausted. I might wait and calm down. But I’ve earned myself a beer, I think. I haven’t thought (about marrying Jennifer) , to be honest. This whole few weeks have been a bit of a blur. But I do like her quite a bit. Has he seen Wimbledon, the movie? Andy Murray, his fellow countryman, batted for Willis insisting that journeymen deserved more money. “The first thing is we need to improve the prize money at Futures level. I think it’s stayed the same since the 1980s. The cost of everything has gone up massively since then so it’s impossible to stay at that level for more than a couple of years. Someone like Marcus, if he had lost in the pre-qualifying at Wimbledon, we wouldn’t have this unbelievable story and he might not be coming back to play in January. You never know. There has to be more money at the bottom of the game. Willis is ranked 772 in the world. But for the match against Federer he dressed up wearing not just Roger’s classic white Nike bandana headband but an R.F.-branded shirt as well. At the end of the match, he was not just another pretender but Marcus Willis, a 25-year-old from Slough, able to trade blows with the best in the business. For most people, the story will be about Marcus’ two magical weeks at Wimbledon. It started earlier, much earlier, with a girl named Jennifer. Roger Federer totes up Francesco Totti. Roger Federer is feeling his age as he jokingly responds to a reporter’s query whether he and the 39-year-old Roma star, Francesco Totti, should be provided protection by the World Wildlife Fund (WWF). “Francesco and I embody our respective sports. What he has done for football is unrivalled. He’s an example, a contemporary icon. No one should tell you when to stop, it’s such an intimate and personal decision. Totti’s employers are still undecided whether to offer the icon an extension—a record 24th year at Roma. The Italian is the second-highest ever goal scorer in the Serie A notching up 244 goals. The all-time record holder is Silvio Piola with 274. Caroline Wozniacki is a chocoholic and ‘chocolicious’. Caroline Wozniacki is less interested in the money endorsements bring her and more about how a company and its products make her feel. The Dane tennis star desires a chocolate deal because Swiss master, Roger Federer, left a huge bar of Lindt in her US Open locker. Roger Federer is still a champion. Flying under the radar, the 17-time Grand Slam winner fought tooth and nail taking the championship match into the final set last Sunday. 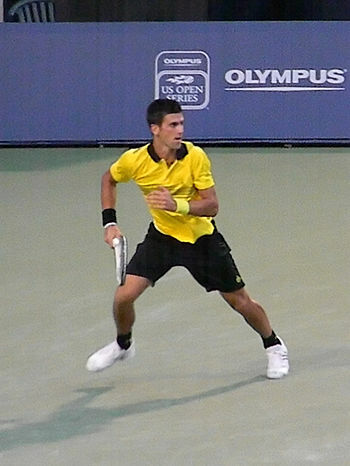 Novak Djokovic may have clinched his seventh Slam. But no guesses for who walked away with the plaudits and the kudos. Milos Raonic and Grigor Dimitrov are amongst heirs-in-waiting to the Big Four. But for now, they are just that. Brazil’s shocking disintegration against Germany in the semi-final and the consequent shellacking had their fans in tears. It’s Germany versus Argentina tonight in the final. Two former champions, two great gladiatorial sides. Germany hold the edge on current form. But Argentina have Lionel Messi. The Barca galactico was completely out of sorts in the quarters and the semis; the man-to-man marking rendering him ineffectual. Can he do a Maradona and take Argentina home? Knock-out games are less about scoring and more about attrition. It’s about waiting and hoping that your opponent makes a mistake and then capitalising on it and drawing the shutters down. That’s how Holland and Argentina played out their semi-final. It made for extremely boring viewing. Van Gaal repeated the mistakes of the 2010 final against Spain when Holland played hard and foul ruining any possibility of their moment in the sun. Hoping to win on penalties should be a strategy for relative minnows such as Costa Rica, not for the team that has dazzled the world with its brand of Total Football over the past four decades. The first Test Match between India and England got underway this week at Trent Bridge. The hosts presented the visitors an Indian wicket: flat and lifeless. The match has already produced a record of sorts. The final wicket partnerships in the first innings produced two hundred-plus partnerships. If Bhuvaneshwar Kumar and Mohammad Shami showed that the wicket held no devils, Joe Root and Jimmy Anderson rubbed in the curator Steven Birk’s face in it with their world record stand of 198—the highest ever in Test cricket. Birks copped some criticism for the state of the wicket. Has the mandate to ensure matches last into the final day hastened the death of Test cricket? Indian fans stayed away—their ratio a paltry 10:90. Draws occur in Tests all the time. It’s the nature of the result that makes all the difference to the enthusiasts.